Karen Iva Tucker, age 77 of Jerome and Hailey, Idaho passed away on Tuesday, November 27, 2018 surrounded by family and loved ones. She was born to the late Steven Barrington and Pearl DeGraw on April 2, 1941. Karen's delight in her early years was raising her children and following Larry on his many job opportunities building and managing golf courses around the country. Those opportunities took them from Barlesville, OK to Ketchum, ID. Karen also spent time as head of housekeeping in Little America, WY and Sun Valley Resorts. Karen and Larry went on to own several successful businesses through the years. Local Daze, a popular active sportswear business, was started in 1982 in Ketchum, ID, and from there they bought Honker's Mini Mart in Jerome, ID in 1986, which is still going strong today. For 15 years they owned and operated Honker's Place, Twin Falls, ID, and started T&T Storage, Jerome, ID. For 32 years Karen and Larry resided in Hailey, ID at the "Log House". These were magical years as Karen doted over her grandkids on 8 acres of paradise. Some of the fondest memories were made on the property that included countless dinner parties, hosting her daughter's wedding, entertaining 4th of July celebrations, Bocce Ball games, and officiating the numerous summer "Super Bowl" football games with the grandchildren. Karen is survived by her husband, Larry; daughters, Sabra (Eric) Anderson and Stacey Monson; sons, Gary (Susan) Tucker, the late Joe Tucker; as well as her devoted nephew, Stevie Walker and her dear friend, Amanda. 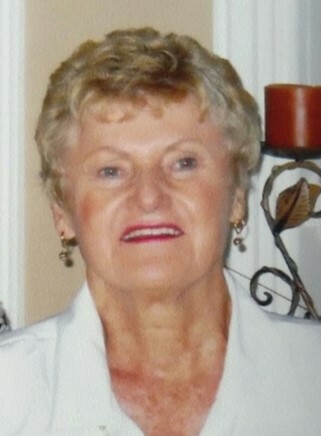 Karen had numerous grandchildren and great-grandchildren and a number of loving relatives and close friends. The family wishes to thank all of those who cared for her during the last days. Amanda, thank you so much. For those who have known her in her fruitful journey with us, her service will be held at 4:00 p.m. on Saturday, December 1, 2018 at Farnsworth Mortuary, 1343 S. Lincoln Ave, Jerome, Idaho. The family would like all friends and relatives to join them at Honker's Mini Mart to share memories following the service. In lieu of flowers the family asks memorial donations to be sent to The Animal Shelter of the Wood River Valley. Memories and condolences may be shared with the family on Karen’s memorial webpage at www.farnsworthmortuary.com.